to assist you in this time. Did You Know…Your Lymphatic Drainage will be done by a certified Advance Lymphatic Drainage Therapist? Did You Know…All of our Lymphatic Drainage treatments are for one hour ? Did You Know…We will cover as many areas as possible within the hour ? Did You Know…The treatment is enhanced with ultrasound, cavitation, radio-frequency, and electrotherapy at no extra cost? After a plastic surgery our bodies are sore. The excess of liquid between the skin and the muscle operated creates inflammation, pain, painful lumps / seromas and skin hardening…. Lymphedema normally occurs after the removal or damage of lymph nodes in a specific area, for example after a mastectomy, melanoma, Colon, prostate or bladder cancer…. 1. Our center has therapists who are specialized and certified in Lymphatic Drainage Massage and post-surgical massages. 2. Our therapists are experienced, educated and licensed by the State of Florida. Extensively educated in the United States and trained with techniques from Colombia South America, the worlds capital of plastic surgery, which indicates the greatest opportunity for the results you need and you want. 4. Our center has the latest technology and manual therapies. 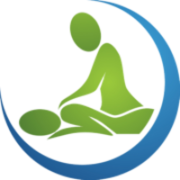 You will experience the best of both worlds in each Lymphatic Drainage Massage session. 5. We have been personally congratulated for outstanding results by doctors in the Orlando area, as well as across the world. Lymphatic Drainage is a light massage to the lymph nodes that helps to pump the lymph fluid through your Lymphatic system. Sometimes the lymph nodes get clogged and with light strokes your therapist will unclog them. 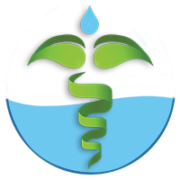 The excess Lymphatic fluids in your body creates inflammation, hardening, lumps and pain. Through Lymphatic Drainage Massage the therapists will boost your Lymphatic system to expel the excess liquid through urine while detoxifying and reenergizing your body. Each treatment will be complemented by ultrasound, which through Hondas sonoras helps to diminish inflammation, hardening, lumps and pain. Other therapies for your treatment are ultrasound cavitation, infrared, and electrotherapy. These are beneficial in a later stage if chronic painful lumps or skin hardening continue. Please note that manual Lymphatic Drainage and post-op massages are the most effective treatments and are our main focus. The machines we use will be complementary to the Lymphatic Drainage Massages. These therapies are included in your package price. 1. Can a deep tissue massage or regular massages benefit me after a plastic surgery? No, in fact deep tissue massages are contraindicated in areas of edema. Unnecessary pressure in the operated area can damage the surgery results. Each surgery requires different techniques. It is important to choose a Lymphatic Drainage Massage Therapist that has the experience and education required to perform this treatment. 2. How soon can I have the Lymphatic Drainage Massage after my surgery? We go by doctor recommendation. We have seen patients as soon as one day after their surgery. Normally you will see a improvement after the first session. If you are experiencing a lot of pain it will start diminishing shortly after your first massage. 3. Can massage help hardening and lumps a year after my surgery? Yes, Even though after time it becomes chronic, we can still help. We have had patients who three years removed from surgery have experienced remarkable results. “Please note these symptoms don’t go away with time they only become chronic, and more painful”. 4. I still have my drain or my incision open, can I start the Lymphatic Drainage Massages? Yes, our therapists are trained to help you drain through the incision while it’s still open or to help you take care of the drain. 5. Is the regular Lymphatic Drainage the same as lymphatic drainage post-op? Same concept, different education. The Lymphatic Drainage post-op is complemented by other techniques and therapies to achieve maximum results. Having just the regular Lymphatic Drainage will be like doing only half of the treatment. The therapist must be knowledgeable and experienced. Our therapists performing your treatment have gone through extended training. I had surgery over a month ago and I started getting my massages with Iliana at Heaven on Earth. The way my body has changed is amazing. She’s very talented and her techniques are unique. You will love it! I’m truly blessed to have found Heaven on Earth Wellness, and have been in the care of Iliana as of July of 2013 . I was referred to them by a friend who recently had elective surgery and had multiples lymphatic massages on the treated areas. I was very pleased with the package deals, the comfortable and relaxing environment, the knowledge of my massage therapist Iliana and overall the service provided to me. Iliana has treated me two times and I have four more treatments remaining. Her hands are truly magic and I feel so much better. Not to mention both Iliana and Paola are super sweet and attentive. Please do not just trust anyone who says they specialize lymphatic massage…just go see Iliana and you will be so grateful you did! !